Building soil structure and fertility is fundamental to most permaculture projects. Our farm is no different. 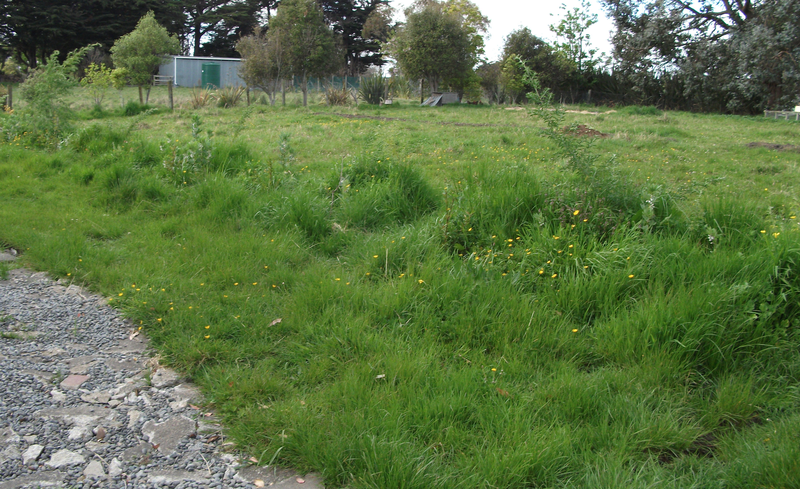 At any given time we have three to five compost piles – each one cubic metre – going somewhere on the property. I believe in free range compost, and building piles near where the final product will be used. This pile had a bunch of pumpkin volunteers sprouting so I decided to let them grow. We will get up to 50 kilograms of pumpkins from these plants for very little effort. With a hot composting system, we run all organic matter through it, including possums, dead chooks, goats, and a few lambs that sadly died this spring. We have also been building hugelkutltur swales and hugelkultur mounds. Yesterday I was managing the waste stream at a large community event and brought 3 barrels of paper plates, serviettes, and food scraps home. I tipped the barrels among the branches that I have been collecting for this hugelmound. 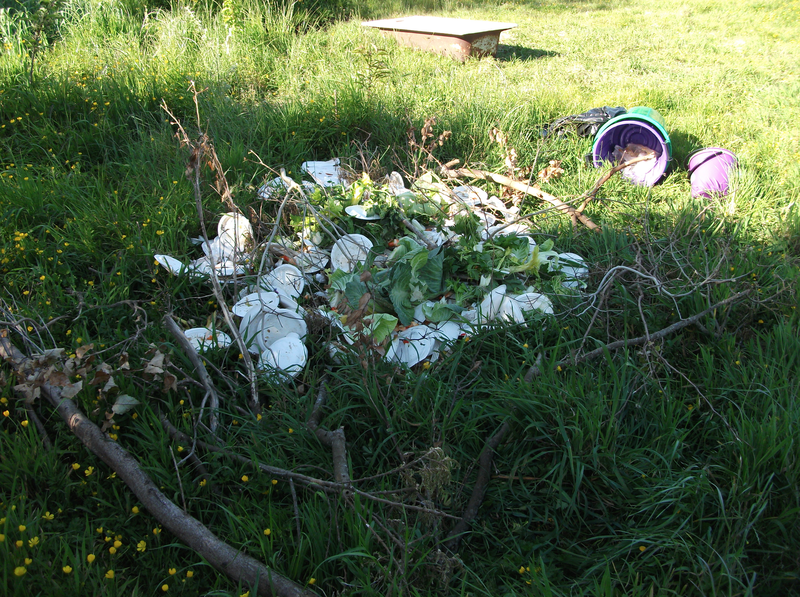 The free-range ducks helped themselves to bits of bread and sausages among the plates. The branches will keep the plates from blowing around in the wind until I cover the lot with soil. 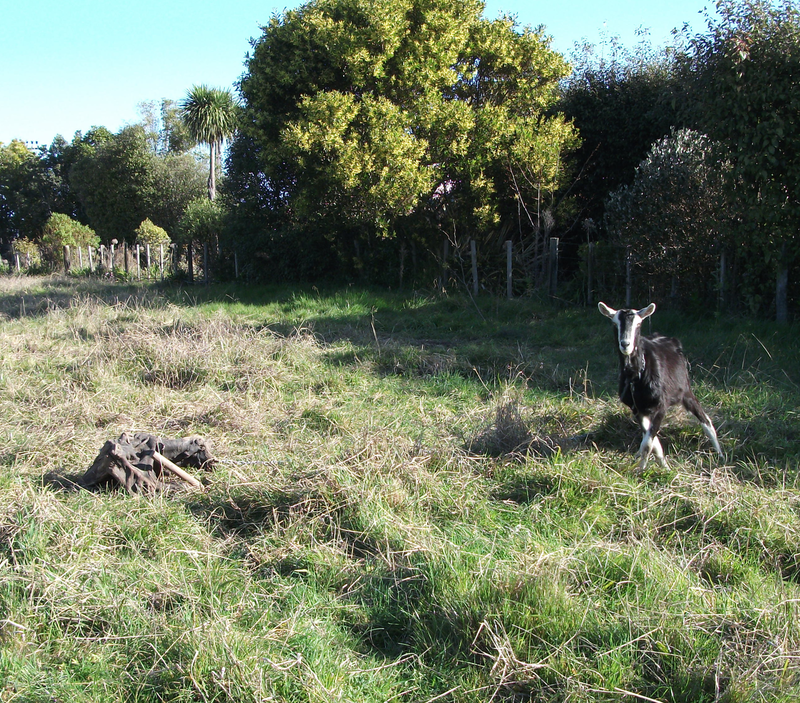 I have been cutting branches along the drive and around the house and feeding them to Goat Buster. He happily eats the leaves and some of the bark. Then I put the stripped branches onto the mound. GB poops out the leaves he ate and helps improve the soil of the paddock. Here is a hugelkultur swale we built less than a year ago. It is thriving with a diversity of plants, shrubs and trees, while moderating water flows on the farm. Using these holistic management techniques are already showing significant results although we have been on the property only 15 months.